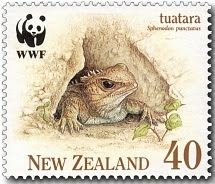 The Tuatara is the sole survivor from a lineage which stretches back before the dinosaur age. 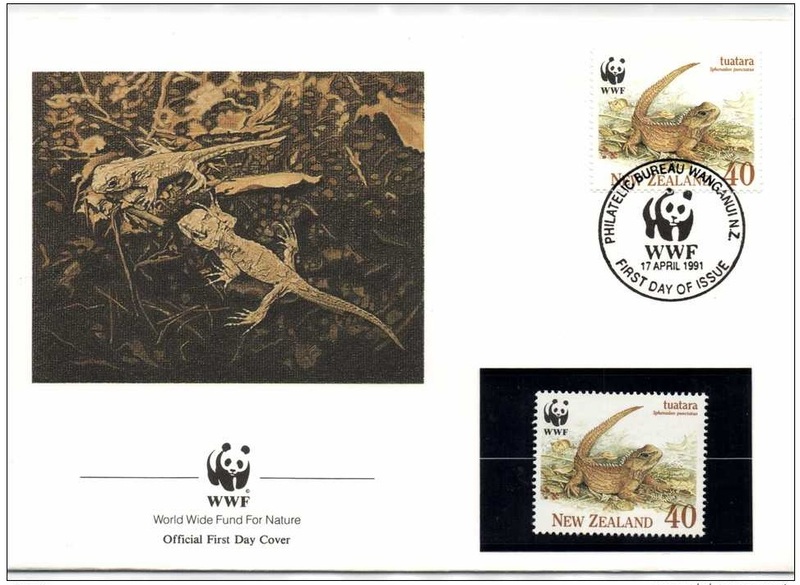 Scientists have been aware for over a century now that the Tuatara is no ordinary reptile. It is in fact, the last living representative of the reptilian order Sphenodontia. The Tuatara's ancestors are known to have been around over 225 million years ago - about the time the first dinosaurs trampled the earth. 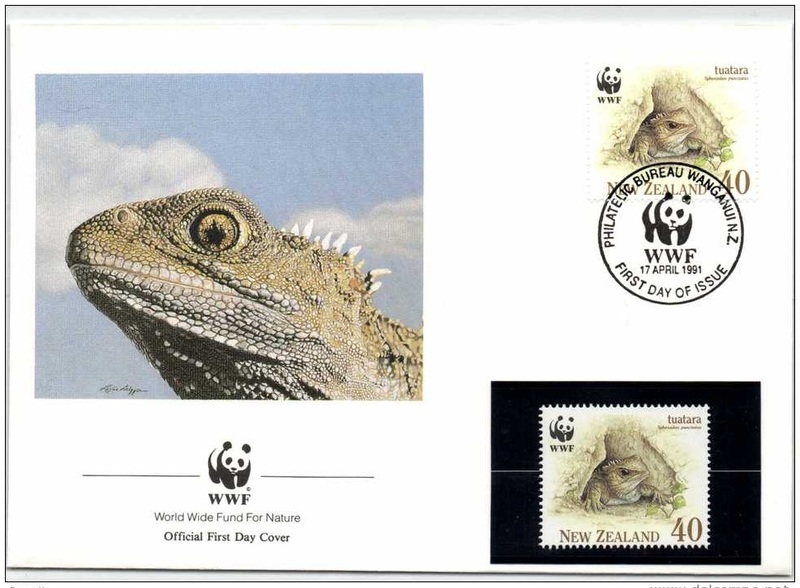 And today's Tuatara survives 65 million years after the last dinosaur disappeared. Naturalists have been beating a path to these shores since the late 1800s to collect Tuatara - sometimes hundreds at a time - for the world's museums. 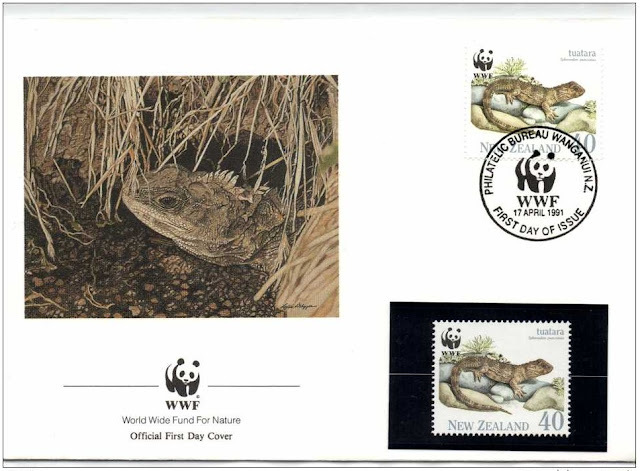 As a result, as early as 1885 a warrant was bestowed to provide all Tuatara with absolute protection. 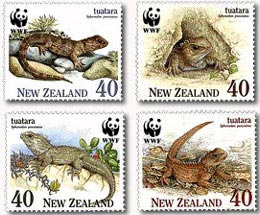 All Tuatara islands are now Wildlife Sanctuaries or Flora and Fauna Reserves so that permits are required in order to visit them. The factors which impact most heavily on the Tuatara's survival are the modification of their habitat, the numbers of co-existing petrels and shearwaters, and the island's population of rats. There is approximately 100,000 individual Tuatara alive today. Almost every one of them inhabits one of 30 small, cliff-ringed islands off the shores of New Zealand. 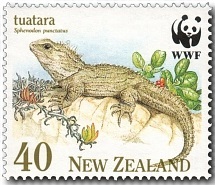 Stephens Island in Cook Strait is home to at least 30,000 - almost one-third of the world's Tuatara population. 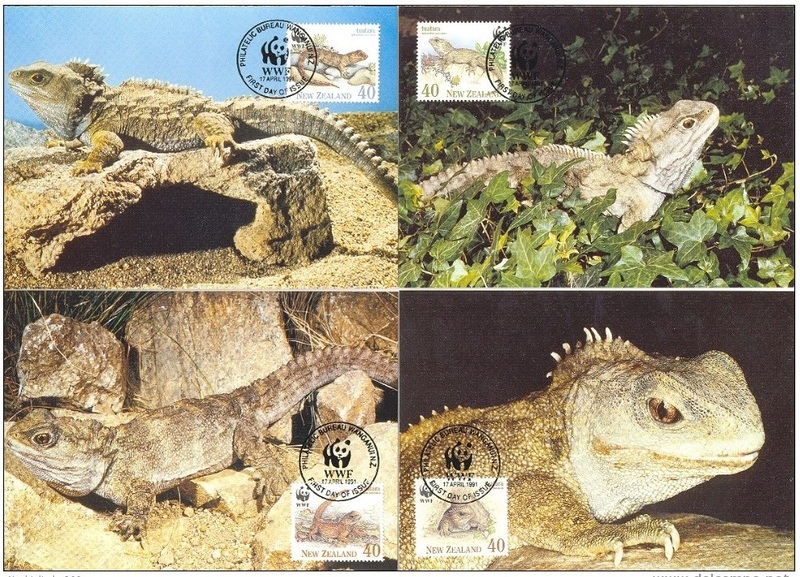 Tuatara are grey, olive or occasionally brick red. They live in the coastal forest of islands which support several species of petrels and shearwaters. These birds dig burrows which provide the Tuatara with housing. 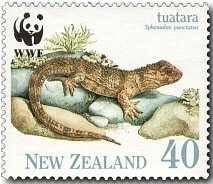 The Tuatara's diet is made up of ground dwellers such as the beetle and weta. They also eat the chicks, eggs or adults of the smaller petrel species. Male Tuatara sport a prominent spiny crest down their neck and a second crest in the middle of their back. Although the female has a spiny crest, it is not well developed. 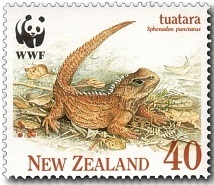 Male Tuatara can also be differentiated by size. They grow up to 60cm long - substantially larger than the female - and weigh twice as much. Both sexes reach full size between 25 and 35 years of age and live to at least 60. One Tuatara, collected as an adult, is known to have survived in captivity for over 70 years. 40c - Tuatara in its burrow. 40c - Male Tuatara with reddish colour variation. Notice the spines on his back - this is a male. The spines are not so developed - a female. 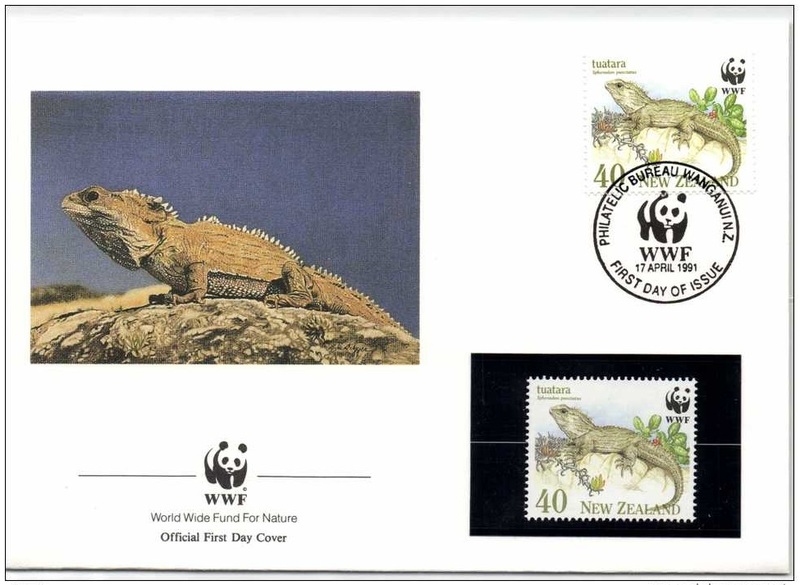 This stamp issue was released in conjunction with the World Wide Fund for Nature and each stamp included the organisation's logo. A set of World Wide Fund for Nature FDCs were also released. I like the extra photos on these cards as they add some extra interest to this page.